Serie A is back after a short and useless international break. Luckily no major injuries have been reported and the clubs will be glad to have everyone back in their squad. 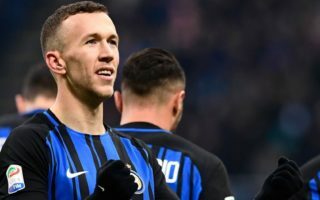 Our Serie A Week 9 predictions include the famous Milan derby on Sunday night and plentiful of action packed matches for the rest of the weekend. Roma were peaking prior to this short break coming off 4 fantastic wins scoring a staggering 14 goals on the way. That included 3 Serie A games and 1 Champions league outing. 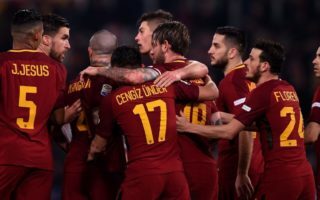 The Giallorossi will be keen to continue their streak this weekend against SPAL. SPAL started off well in Serie A but then had a bad run of 4 losses bringing them back to earth. They are a promising side, but the lack of squad depth begins to show when 1 or 2 first team players get injured. The home side have a 100% record against SPAL. They’ve only played twice in their history and both games saw Roma scoring 3 goals and only bagging 1. This is a clear indication that Roma feel absolutely comfortable in this fixture. It is worth mentioning that Roma have 3 notable injuries that may hinder their usual starting line-up. De Rossi, Kolarov and Pastore are all coming off niggling injuries and may not start this game to be preserved for an important Champions league game on Tuesday against CSKA Moscow. Their heads may already be there. A good stat to keep in mind is that Roma have an impressive talent at scoring in both halves and we may have some value there. 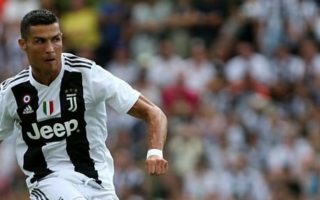 Most Juventus players returned to training by Wednesday with some major stars not participating in International week friendlies. 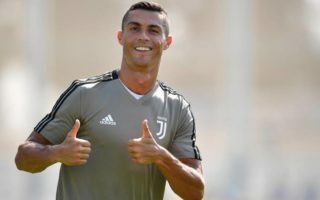 This leaves Juventus’ mind at rest that the players are well rested and ready to pick up on a perfect start to their league campaign. The Bianconeri have been nothing short of perfect. Since the initial scare at Chievo on day 1, the Turin side have overpowered their opponents consistently. Winning all games in Serie A and Champions league. On Saturday they host a cheeky Genoa side that is coming off a manager sacking. Strange to say the least. Genoa we actually seen as an in-form side with scoring power in Piatek. Genoa have a respectable 12 points and lie in mid-table with a game in hand. With a win they could possibly go to 4th place so there was definitely a non-sporting related matter for the sacking. The home side will be with one eye on their away fixture on Tuesday at Manchester United. With the much anticipated return to Old Trafford of Cristiano Ronaldo. Expect him to play on Saturday anyway as he has not reported for Portugal duty. Expect a few minutes from Douglas Costa too who is back from suspension and injury. Allegri will look to give him 15-20 minutes prior to Tuesday’s game. The head to head record between these two teams only tells one story. Juventus have won a massive 7 in a row and have not conceded a goal at the Allianz stadium to Genoa since 2013. This should not leave you guessing as to where this prediction is going. Napoli stand in second place and that is nothing unusual for them. They have been in Juventus’ shadow for the last 5 years and can’t seem to get over the hunch. Coming off a good win against Sassuolo and Liverpool, Napoli should feel encouraged about the rest of the season. This tie is crucial for them and they have a huge fixture on Wednesday in Champions league against Paris Saint German. We will go as far as saying that they may sacrifice this tie for the CL tie but that is not Ancelotti’s style. He still believes Napoli can attempt to win the league. The last 5 head to head between these two at the Dacia Arena has had mixed results. 2 Wins Napoli, 2 wins Udinese and 1 draw. Fairly balanced. There are some injuries that put doubt into the line-ups so be sure to check them out prior to kick off. Match of the week in Serie A right here. This is probably the most exciting Milan derby in years. With both teams aspiring to realistically place in the top 4, these two sides will be all out to win this game. This fixture will prove who is ready to be a challenger this season. Inter have the misfortune of having an away fixture to Barcelona on Wednesday night. A game they cannot afford to be distracted for because Barca will make them pay. Nevertheless, Inter have a strong side and will have the home crowd in this one. Expect Milan to field their strongest 11 and go all in on this one. This game for them means the world. They will have a serious confirmation that they are still relevant in the bigger scheme of things. This will be an all-out battle and expect things to get slightly out of hand. The last 3 derby della Madonnina produced a whopping 17 yellow cards. The tackles will be full on. Both sides can boast a star striker with Inter’s Icardi and Milan’s Higuain. Expect both snipers to make an impact on this game. Meanwhile there will be emotions running high with both Gattuso and Spalletti known for their touchline antics. Derby games are usually high tempo and fairly regular scoring games. Neither side will want to sit back and wait. Rather, we expect lots of open play and fast paced attacks. It remains to be seen which side takes the initiative to try and score first. Based on the last 5 derby games there is a high likelihood that both teams will score, and this feels like a safe bet. There will be volatility so also look at corners in this one.